The History department is very excited to be going on our USA trip on Wednesday. 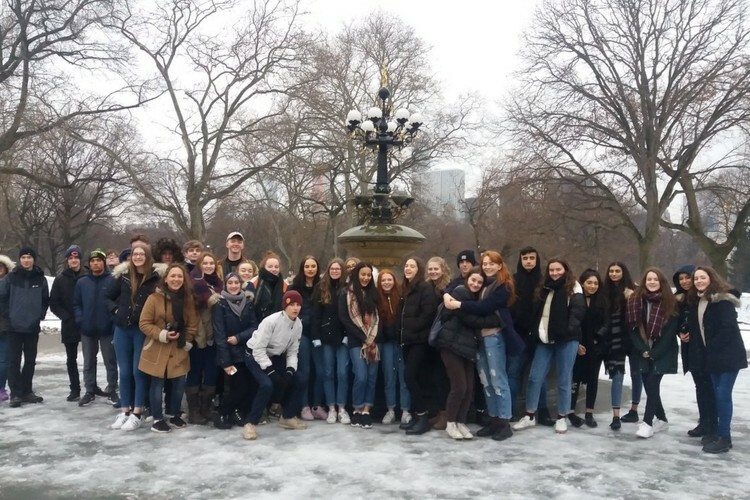 To keep you up to date with what we are doing be sure to check in with the school twitter account (@SaleGrammar) or follow the trip via the blog below. We hope you've started your packing! It looks like it's going to be cold, but largely fine (though maybe some rain in New York; remember to look in your information booklets for recommendations on what to take. Don't forget to pack you passport and we'll see you at 5:45 in the Departures section of Terminal 3! 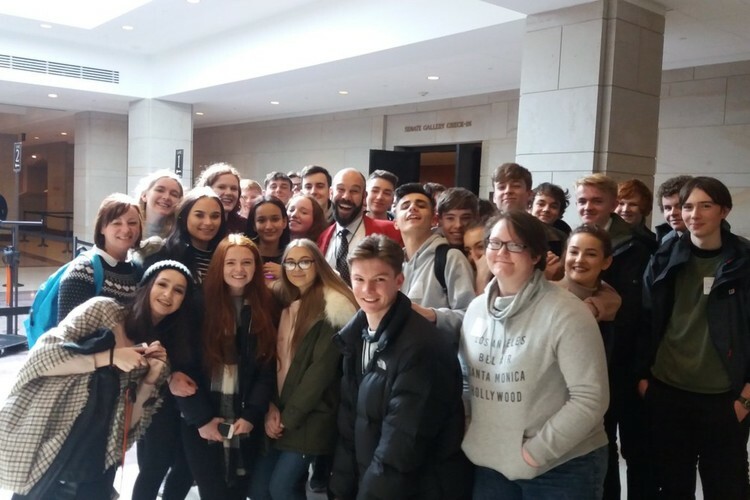 We have had a fantastic start to our US Trip! 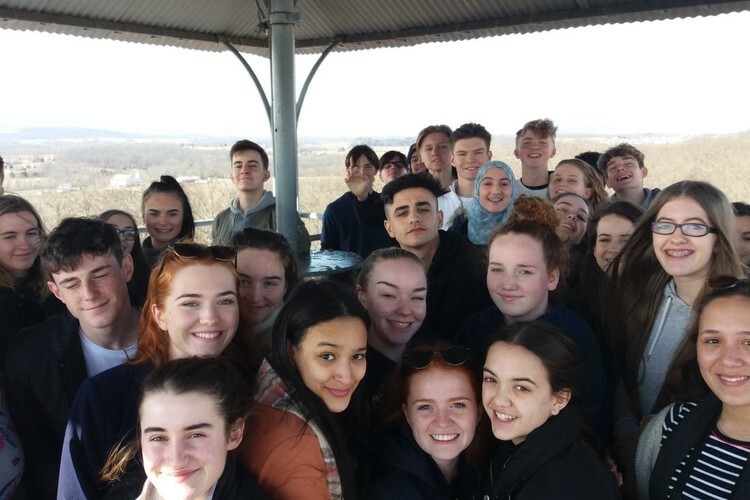 A safe and swift flight was had by all, followed by; a slap up dinner at Washington institution Ben's Chili Bowl and then a night time trip to the Jefferson Memorial. All we need now is some well deserved sleep to prepare for tomorrow! Our first full day in Washington was a full one and a bit of snow didn't hold us back. We started the day with a tour of Washington D.C. taking in; the White House, the Lincoln Memorial, the Martin Luther King Memorial and the FDR Memorial. Then it was on to lunch and a tour of the Holocause museum, followed by a (rather cold) walk around Arlington cemetery. 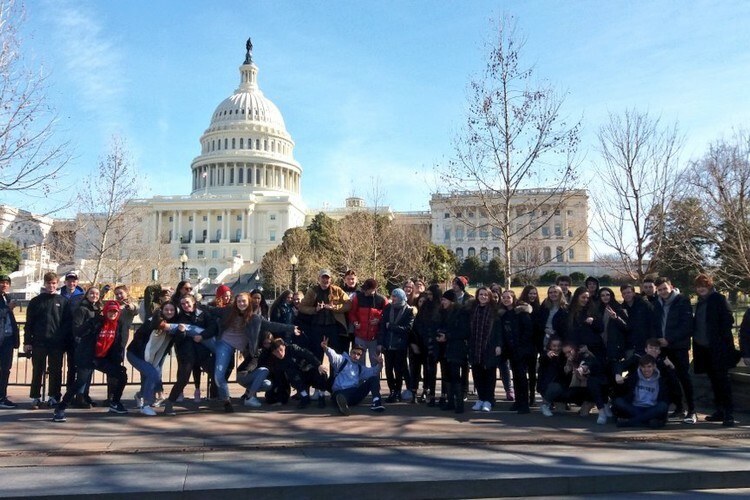 At the time of typing this the students are working their way around the Mall - truely immersing themselves in American culture! 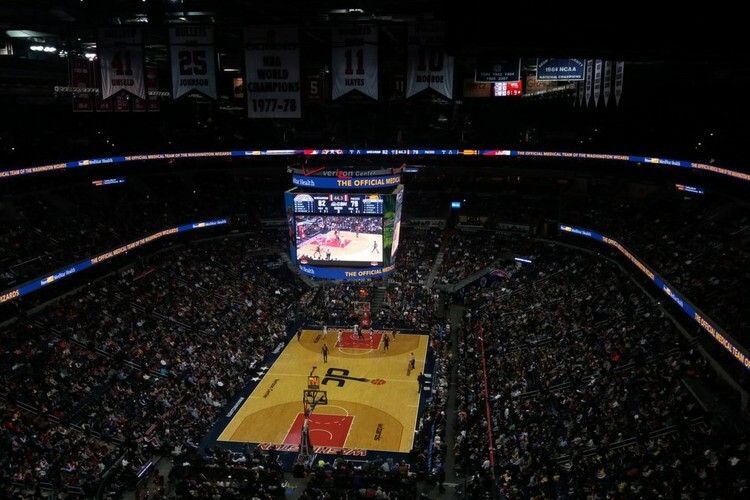 And it's a win for the Washington Wizards! A close game + a free t-shirt = a great night! Enjoying our Gettysburg tour on a beautiful day! 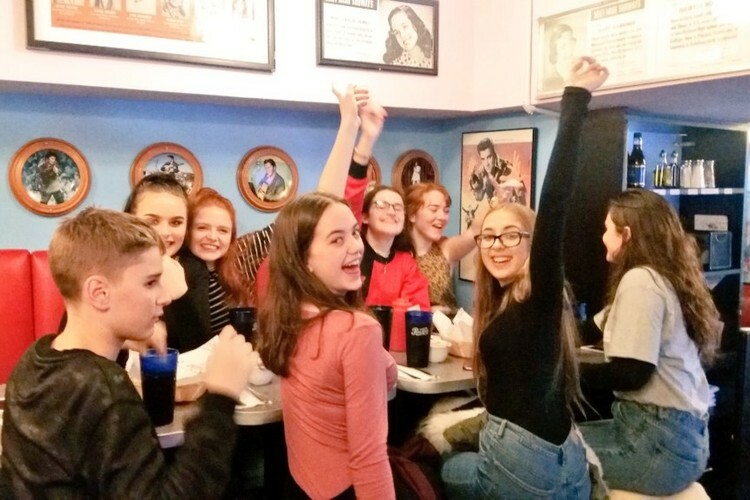 Wonderful meal at Ellens Stardust, Sale Grammar certainly enjoyed it!